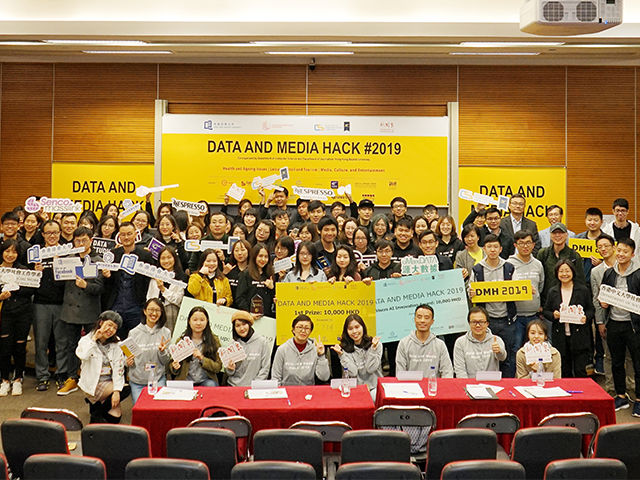 The Department of Computer Science and the Department of Journalism co-organised the Data and Media Hack 2019 on campus from 25 to 27 January. 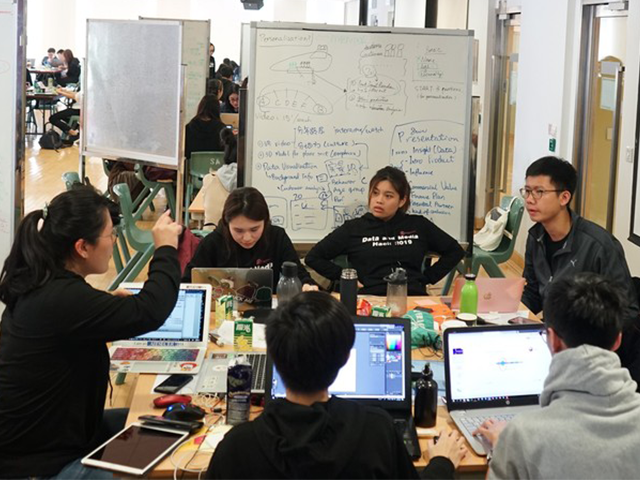 The event, combining data and media in a hackathon, was the first of its kind to be held in Hong Kong. The event had three themes -- health and ageing; leisure, retail and tourism; and media, culture and entertainment. A total of 14 teams formed by more than 100 young talents from seven local higher institutions participated in the challenge. They received help from mentors from industry professionals, start-ups, data scientists and academics. 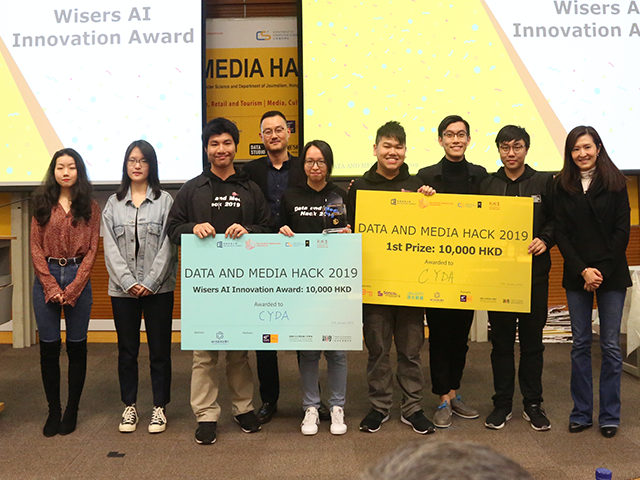 Following the 48-hour non-stop competition, Team CYDA, comprising HKBU student Wang Ziwei (Data and Media Communication, Year 3) and teammates from HKU, HKUST and CityU were declared winners of the championship and also the “Wisers AI Innovation Award”. The event also invited experts from both academia and industry to run workshops in parallel on different aspects of storytelling, web design, Apps prototypes, data analysis and design thinking.